This ancient Pomor proverb hasn’t lost its importance even in our days. “Treasures of the White Sea” company is engaged in extraction, processing and sale of laminaria, fucus, palmaria and other seaweed from the depths of the White Sea in the Solovetsky archipelago. We extract seaweed using a diving method that allows us to choose the best seaweed that can meet the highest quality standards. 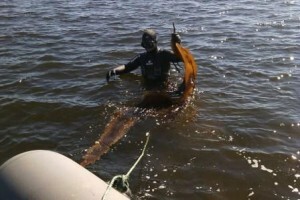 Each piece passes through the hands of a diver and is carefully inspected underwater. 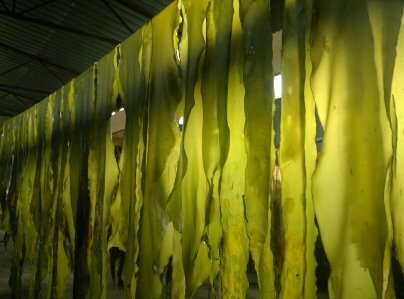 We extract seaweed only using the approved method, which excludes harmful effects on nature; we cut the plant and carefully extract it from the water. We guarantee the exceptional quality of our products. Our sea is an ecologically clean place for seaweed growth due to the lack of industrial enterprises and large settlements on its coast. 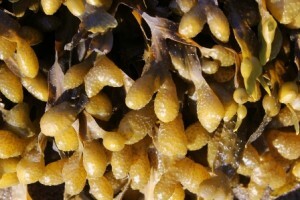 Short northern summer and harsh conditions of the northern nature make seaweed actively accumulate and process useful substances from sea water; peculiarities of the chemical composition of the White Sea seaweed and favorable conditions for growth ensure high quality and diverse raw materials of 100% natural origin – this is what we offer our customers who care about their health.